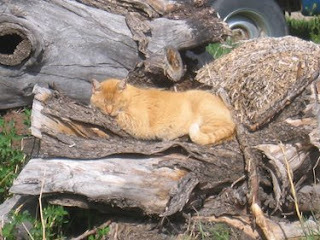 Orange, the outside cat, taking a nap on an old apple stump. Summer is coming and it’s really nice out now, not too hot but nice and warm. Good for naps.